Cylindrical roller bearings differ from ball bearings in that they use cylindrical rollers between raceways instead of balls. Because of this they have a high radial load capacity and are suited for high speed applications. The common types of cylindrical roller bearings are single roll and double roll bearings with double row offering a high radial rigidity which makes them ideal for precision machine tools. 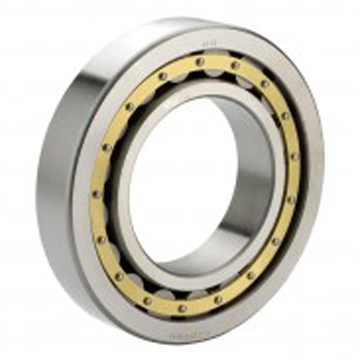 Other designs include: high capacity, multi row, split bearings and full complement bearings. Depending on the application cylindrical roller bearings are available with or without cages and the cages can be made out of machined brass, pressed steel or molded Polyamide. Single row bearings are designated: NU, NJ, N, NUP and NF while double row bearings are NNU and NN. Bearings that use a cage are mainly used for applications that require heavy radial loads, rapid accelerations and high speeds and we have a great range of these bearings available for you to choose from. Cylindrical roller bearings that do not have ribs can be used as free-end bearings and are able to take some axial loads. If you need any help in finding the right cylindrical roller bearings for your application then feel free to get in touch with our expert team today by giving us a call on 01256 761067.